When going on your NEMO I Galapagos cruise you want to know all the details so you can make an accurate decision on your vacation. If you want to know all the technical NEMO I Galapagos cruise specifications that can be found in this section. The characteristics of the NEMO I Galapagos cruise is an accurate representation of the NEMO I Galapagos cruise specifications. You will have a great idea of what your vessel will be like during your NEMO I Galapagos cruise. There is an accurate description for every single one of our NEMO Galapagos cruises. The technical equipment portion of the NEMO I Galapagos cruise specifications gives you the idea what the NEMO I Galapagos cruise has additionally to its bare bones. 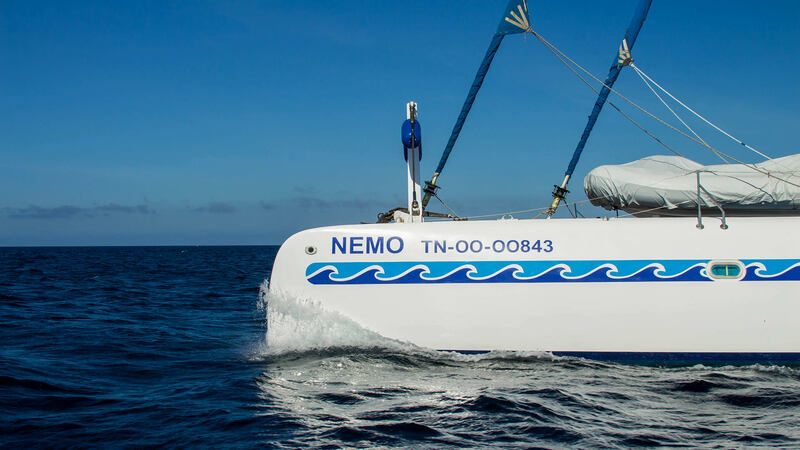 The security section of the NEMO I Galapagos cruise specification provides that peace of mind knowing that we are fully equipped for whatever event may occur. We then provide the accommodations that we provide for the NEMO I Galapagos cruise. Lastly of the NEMO I Galapagos islands cruise specification is the deck plan so you can have the technical insight of what the vessel looks like for the NEMO Galapagos cruises. You can be assured that we provide this amount of detail for all the NEMO Galapagos cruises. Below you will find the details of your NEMO I Galapagos cruise specifications. Architect: Mr. Joubert - Mr. Nivelt. Fresh Water Capacity: 1000 lts. Electricity: 12 V, 24 V, 220 V.
After flipping through the NEMO I Galapagos islands cruise specifications you have a better idea of what our NEMO Galapagos islands cruises entail. We want to make sure that our potential clients have all the necessary information when choosing among the NEMO Galapagos islands cruises. Knowing the NEMO I Galapagos islands cruise specifications is crucial for knowing that the vessel is secure and captures all your needs for your vacation. We like to provide all the info needed to make an accurate decision for all of our NEMO Galapagos islands cruises. We take the NEMO I Galapagos islands cruise specifications very seriously and enjoy giving our potentials clients all the info. Whether you are an architect, or need to confirm that we have all the equipment necessary for modern comforts, our NEMO I Galapagos islands cruise specification reaffirms those questions. 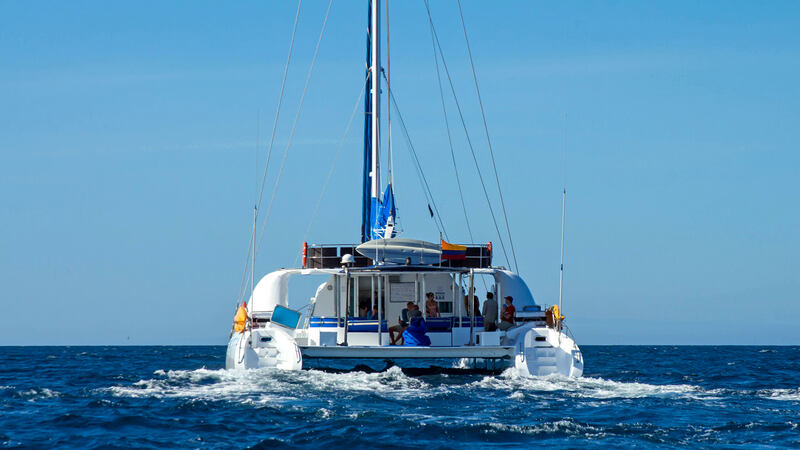 With the years of experience obtained we make sure that NEMO Galapagos cruises are impeccable and we like to refer past consumers and their rave reviews. To make your election you need to stay informed and that is why our NEMO I Galapagos cruise specification helps with this. 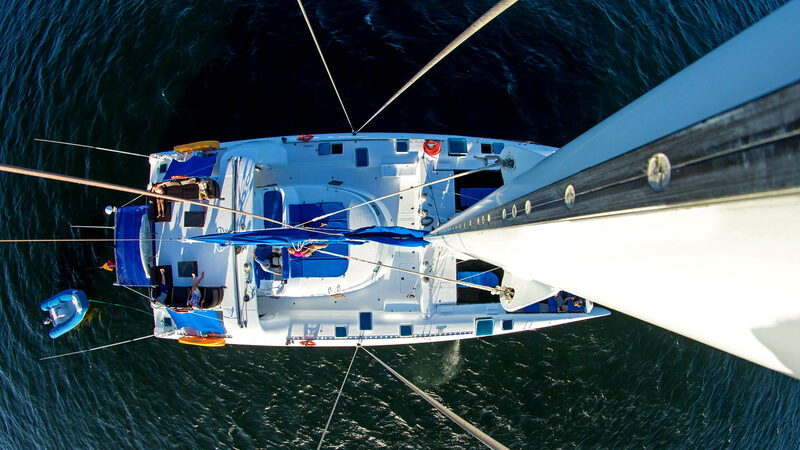 Being able to review the characteristics, technical equipment, security, and the deck plan under NEMO I Galapagos cruise specification gives incredible insight. NEMO Galapagos cruises have the same detail for every vessel. Whether you are going alone or with another adult or as a family, NEMO Galapagos islands cruises has you covered. Take a look at the NEMO I Galapagos islands cruise specifications and see if it adheres to what you envisioned for your exotic vacation. All NEMO Galapagos islands cruises bode very well among the other cruise options. Compare the others with our NEMO I Galapagos islands cruise specifications and see that we provide the utmost in quality. Being forthright with what the NEMO I Galapagos islands cruise specification is a testament of our ethics and transparency.